Brisbane’s home of Putt Putt, special events, and alfresco dining has officially opened their own wood fired pizza kitchen complete with a viewing window. Nestled between the Victoria Park Bistro and the Victoria Park Orchard, the Victoria Park Pizza Kitchen will be serving traditional Pizzeria packed with flavour seven days a week from December 2016. 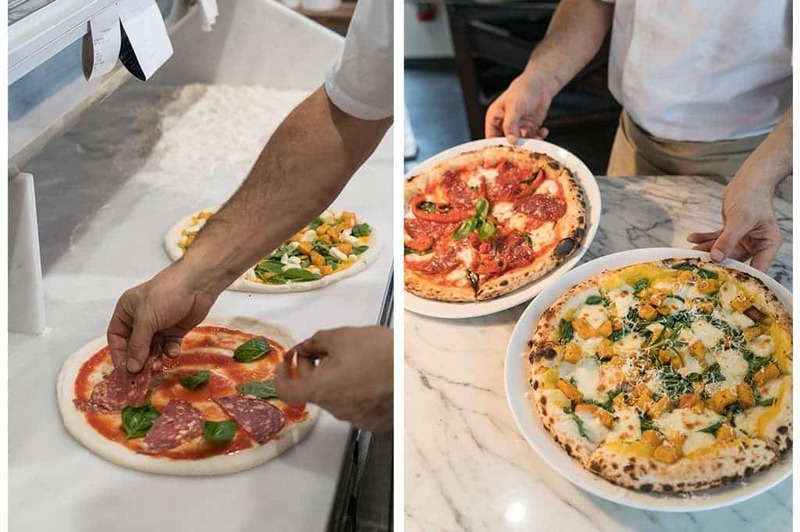 Boasting renowned Pizzaiolo’s from Italy spinning their dough, Victoria Park are keeping things as traditional as possible with the arrival of not one, but two experienced Chef’s from Italy joining the team to oversee the kitchens public launch. “Our highly experienced Italian Pizzaiola’s have a genuine passion for the craft of wood fired pizza and working with our Executive Chef, are creating mouth-watering Napoletana style pizza” said Victoria Park Director Adam Flaskas. “I wanted to ensure that our team received training from internationally experienced Pizza Chef’s in order to deliver the very best authentic Italian pizza to the Brisbane public” said Flaskas. The Victoria Park Wood-Fired Pizza Restaurant Kitchen in Brisbane North offers wood fired pizzas topped with local, seasonal produce. Gluten-free and vegan-friendly options are available. To get your next wood fired pizza fix at the Victoria Park, make a booking with the Bistro today online or call us on 3253 2533.